Mix together the wet ingredients in a small bowl and set aside. In a large bowl mix together the dry ingredients. Pour the wet ingredients into the large bowl and mix it all together. Lastly mix in the Walnuts and Cranberries (don’t over mix, it should have a thick gooey consistency). Put spoonfuls of the mixture onto a baking pan that has been coated in canola oil to prevent them from sticking. Bake at 350 Degrees for 17 minutes, they should have browned at the bottom, allow the cookies to cool on the pan for 15 minutes. This recipe makes almost 2 dozen, depending on how big your spoonfuls are. 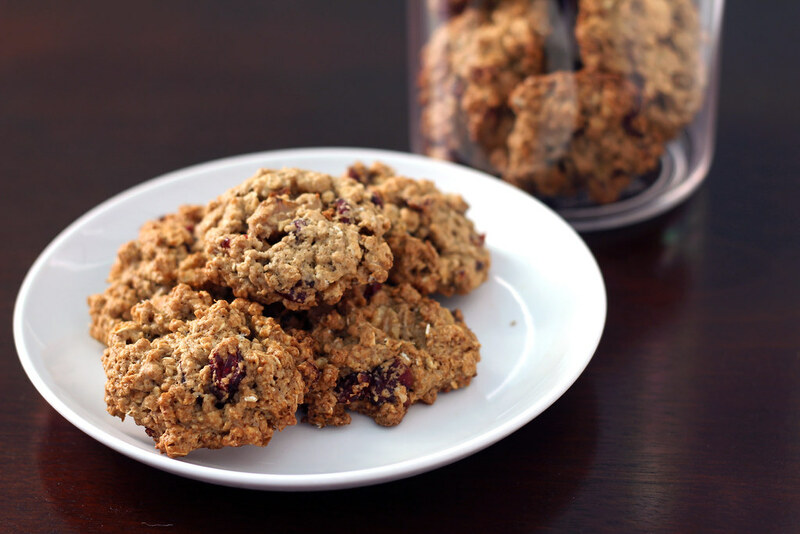 Time to enjoy some oatmeal cookies! These cookies can be filled with any nut/fruit/vegan baking chocolate ingredient, feel free to experiment with them! 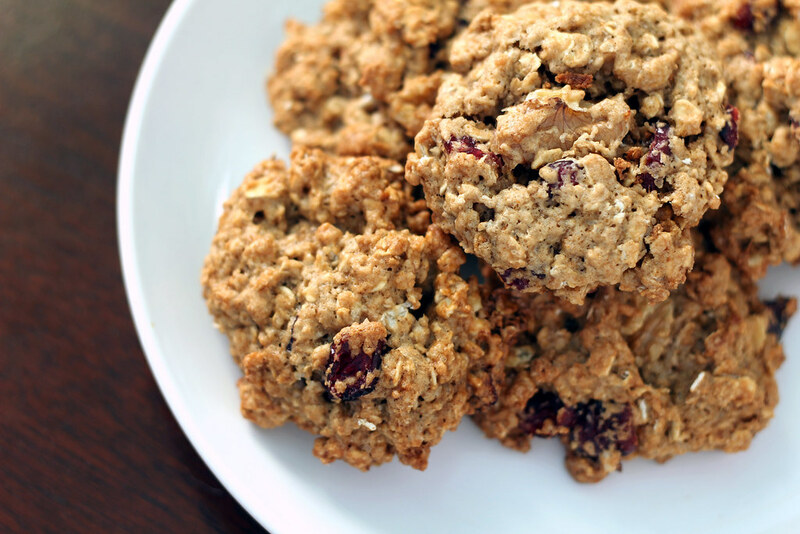 This entry was posted in Sweet Recipes and tagged Cookies, Oatmeal, Vegan. Bookmark the permalink.